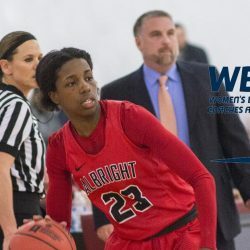 ATLANTA – Albright Lions senior women’s basketball player Alysha Lofton was named to the Women’s Basketball Coaches Association (WBCA) All-America Team that was announced by the organization on March 15. Lofton is one of 10 players to be named to the team, which comes a year after she earned WBCA All-America Honorable Mention honors. She becomes the second player in Albright women’s basketball history to be named to the WBCA Division III All-American Team after Kelecia Harris was named to the team in the 2015-16 season. 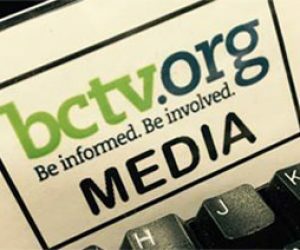 In addition to being named MAC Commonwealth Player of the Year, Lofton was also named to the D3Hoops.com All-Mid-Atlantic Region First Team earlier this week. Lofton helped lead the Lions to their third consecutive NCAA Tournament appearance, and fourth straight MAC Commonwealth Tournament Championship Game appearance. She also found herself in the top 10 in five major statistical categories in the conference as well. Lofton led the conference with 2.7 steals per game, ranked fourth with 14.4 points per game and 1.6 blocks per game in addition to placing fifth with 3.7 assists per game, and seventh with 7.6 rebounds per game. In addition, she registered five double-doubles during the season. Lofton was named MAC Commonwealth player of the week four times this season, and recorded the programs first triple-double against Stevenson on January 27. She will finish her collegiate career with 1,012 points, while ranking in the top-five in Albright history for career assists, steals, and blocks. Lofton will also finish seventh in program history in rebounds.